Who wouldn’t want John Tavares, right? The 27 yr. old is a leader, a producer and makes players around him better, just ask those in Buffalo who’ve been watching the careers of Matt Moulson and Kyle Okposo. Both players put up strong numbers on Long Island playing next to Taveres for the NY Islanders and both have slipped since coming to the Sabres. One of them, Moulson, has slipped right down to the NHL. Tavares is set to become a free agent on July 1 and only dreamers thought a signing in Buffalo would be possible. Although it’s still seems like a pipe dream, TSN broadcaster Gord Miller raised some eyebrows when he said that Buffalo could be looked at as a destination for NHL players these days. That statement was met with a very long pause, possibly because two months ago Miller said he thought that “Montreal was the leading contender” should Tavares leave the Islanders. Miller’s reasoning began with a team that has the potential to be better than the one he plays for in New York and who can also fit his salary into the cap without gutting the roster to do so.. Miller also said that Montreal would be appealing to Tavares because it’s an Original Six team in a strong hockey market. “Tavares wants to win,” said Miller yesterday when talking about his reasoning for Buffalo taking over as a top destination, “That’s his No. 1 thing. He wants to win and he wants to play in a hockey market. “Buffalo’s a good hockey market and now you’ve got Rasmus Dahlin coming (via the first pick in the 2018 draft,) they’ve already got [defenseman Rasmus] Ristolainen, they’ve got [Jack] Eichel. They’ve got an owner willing to spend money. It’s close to home, but not in Toronto with all the scrutiny. Those points are valid and have been made at various points in various places but it’s still hard to imagine that a player of Tavares’ caliber, and the cost associated with signing him, would end up in Buffalo. Let’s run with that dream scenario and see where the Sabres stand cap-wise three years from now with Tavares signed and Dahlin coming off of his entry-level deal. One thing we know for sure is that Eichel is the franchise and he's under contract for the next eight seasons at $10 million per season. Beyond him only forwards Ryan O'Reilly ($7.5M cap-hit) and Okposo ($6.0M) are signed through 2020-21. Add in defenseman Ristolainen and his $5.4M cap hit and those four account for $28.9 million against the cap. It's highly unlikely that O'Reilly would be a Sabres should they end up with Tavares, same with Okposo, but because they're signed we'll keep them in the mix despite their hefty salaries. As we look to the future and start adding in potential salaries of core players, bringing in Tavares will probably cost about $11 million/season and should Dahlin end up being the franchise player he's touted to be, would $8 million per season be out of the question? Add in forward Casey Mittelstadt and Brendan Guhle as core players with projections of $6 million and $5 million, respectively, and Buffalo now has a core roster of five forwards and three defensemen totaling $58.9 million. With eight forwards to add we can begin with Sam "The Forgotten One" Reinhart probably at about $5 million, Evan Rodrigues somewhere in the $3 million range and Nicholas Baptiste chiming in at $2 million. On defense we can hopefully count on Casey Nelson at $2 million should he continue to progress at his present pace, and Jake McCabe who may end up in the $3 million range. With that group adding another $13 million, the Sabres will be at a projected $73.9 million. 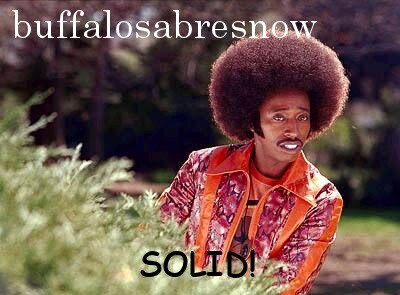 Buffalo has no goalies signed in 2020-21. One would think that Linus Ullmark will be in the fold and that they'd either have a backup or a 1A/B, maybe Jonas Johansson, with the total cost at a conservative $4 million for both. The Sabres would be at $77.9 million with that lineup above and still need to sign six forwards and two defensemen. Here's where the entry-level deals and lower-end role players signings would come into play. In house the Sabres have forwards Sean Malone and C.J. Smith almost ready for fourth-line duty and I see no reason why bottom-six forward Scott Wilson wouldn't be with the team. Add in Justin Bailey and those three would probably combine for $5 million against the cap and should things go well with a player like Victor Olofsson, he could be in the fold at a modest $1 million cap-hit. Add in one more forward at $1 million (maybe Alexander Nylander) and the Sabres are now at $83.9 million. The Sabres have defenseman Lawrence Pilut signed and at the end of his entry-level deal he could be in the $2 million range should he develop and Will Borgen should probably be ready for NHL duty in a reserve role at a cost of $1 million. The NHL cap-ceiling is presently at $75 million. The projected salary cap for next year is said to be $80 million. If we use an annual increase of 3% the following two years, in 2020-21 the cap-ceiling will be just under $85 million. This was meant to be a fun exercise with cap numbers injecting Tavares into a roster made up of present players in the Sabres organization as well as projecting cap-hits for Dahlin, their future No. 1 pick, and a host of others. TSN's Miller makes a lot of sense when he lays out the scenario of Tavares signing in Buffalo and Sabres fans can't help but salivate at a trio featuring him, Eichel and Dahlin anchoring the Sabres for the next decade. 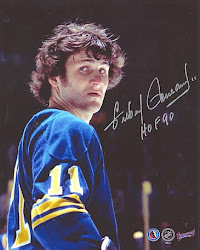 Perhaps Buffalo's luck has finally changed as a ping pong ball with the number six made it's way up the chute to give the Sabres a franchise altering lottery win. Who knows, but like Jimi Hendrix sand, "if six turned out to be nine, I don't mind."